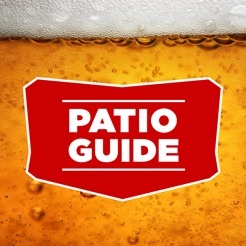 - Photos and info for hundreds of Toronto patios. - Call, map and get directions at the touch of a button. 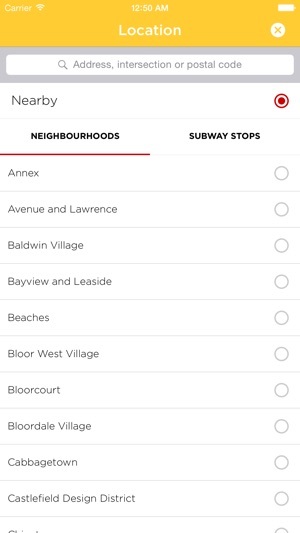 - Sort patios by nearby, neighbourhood, TTC subway stop, address and type. 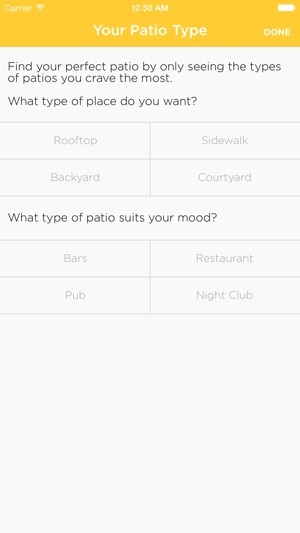 - Create a list of favourite patios for easy access. 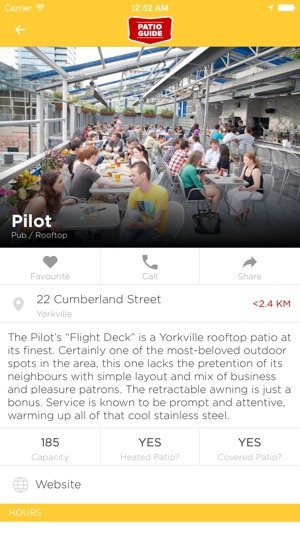 - Share patios in the app via Twitter, Facebook, email and SMS. 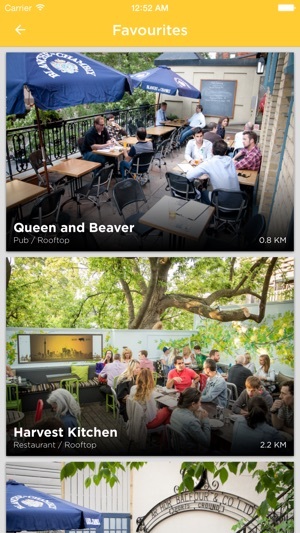 I visited Toronto for a weekend and wanted to experience the city via outdoor drinking. This app guided my day/night PERFECTLY. 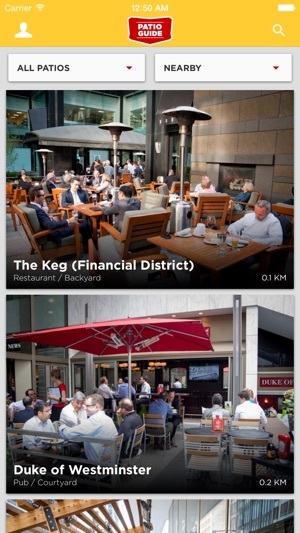 Every aspect of this app is useful, helpful and appreciated - from the map locator, to the descriptions/bar-type designations, to the feature detailing what beers are on tap. It made my Saturday and I hope others can use it as well. Thank you!